What would San Francisco life be like if the ancient Egyptian empire survived into the modern era and colonized the New World instead of the Spanish? Shesmu, the chef of a popular restaurant in the City of Menmenet, is in love with Neferaset, the wife of his mentor, Nekhen, who has been found with his throat cut in his kitchen. The medjays suspect she killed him, and Shesmu is on the hook to prove she didn't. In the subsequent odyssey of self discovery, Shesmu finds the killer but also finds that ma'at, justice, often is more difficult than just discovering the truth: sometimes you have to create the truth to find it. 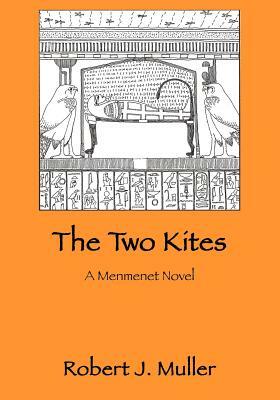 The Two Kites, an alternative history mystery novel, takes the reader to a very different kind of San Francisco while it explores the characters and culture that inhabit that city.